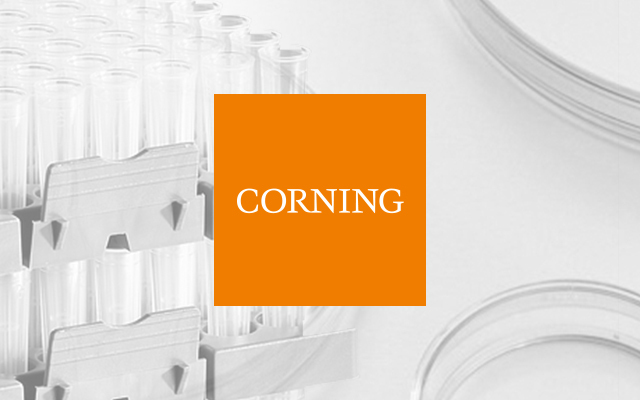 Corning have been a leading developer, manufacturer, and global supplier of scientific laboratory products for 100 years. Using unique expertise in the fields of materials science, surface science, optics, biochemistry and biology, Corning provides innovative solutions that improve productivity and enable breakthrough discoveries. Life Sciences laboratory products include general labware and equipment, as well as specialty surfaces, media, and reagents that are used for cell culture research, bioprocessing, genomics, drug discovery, microbiology, and chemistry. Corning sells life science products under these primary brands: Corning, Falcon, PYREX and Axygen.